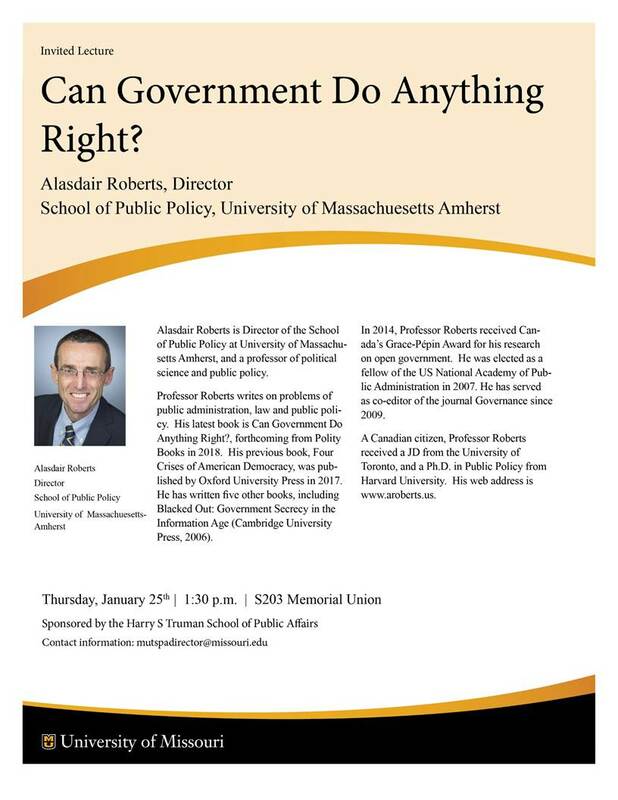 I’ll be talking about my forthcoming book from Polity Books, Can Government Do Anything Right?, at the Truman School of Public Affairs on January 25. Details here. Powerpoint for presentation here.